Who’s Crazy? What does it mean to be crazy? Is using the word crazy offensive? What happens when such a label gets attached to your everyday experiences? In order to understand mental health, we need to talk openly about it. Because there’s no single definition of crazy, there’s no single experience that embodies it, and the word itself means different things - wild? extreme? disturbed? passionate? - to different people. 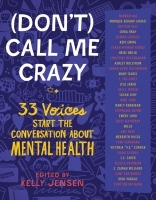 (Don’t) Call Me Crazy is a conversation starter and guide to better understanding how our mental health affects us every day. Thirty-three writers, athletes, and artists offer essays, lists, comics, and illustrations that explore their personal experiences with mental illness, how we do and do not talk about mental health, help for better understanding how every person’s brain is wired differently, and what, exactly, might make someone crazy. If you’ve ever struggled with your mental health, or know someone who has, come on in, turn the pages, and let’s get talking. 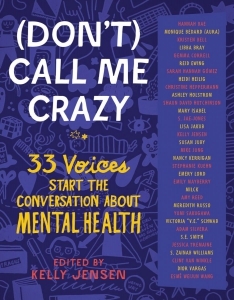 Essays, lists, poems, and art explore the ways in which 33 contributors cope-and thrive-with mental illness including actress Kristen Bell, figure skater Nancy Kerrigan, and bestselling YA authors like Libba Bray, Adam Silvera, and Victoria Schwab.